Lovely and unique with every order! 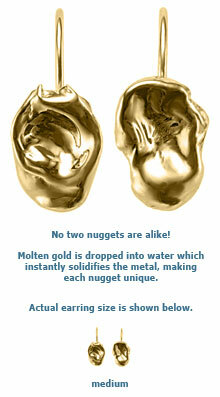 Molten gold is dropped into water which instantly solidifies the 14k yellow gold metal making each individual nugget different from the last. These medium earrings are for pierced ears and come with lever backs. Small size nugget earrings also available.